I’m sure most of you already have your holiday meal all planned out, but just in case you don’t – here’s what I’ll be serving up in case you need any ideas! 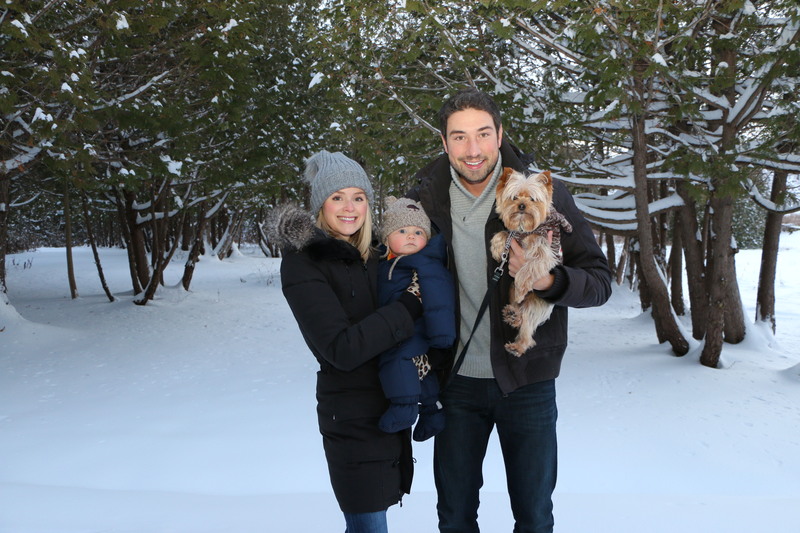 We’re hosting my family on Monday – as per tradition, my mom does Christmas Eve, and we make the trek to Ottawa on Christmas Day to celebrate at John’s family cottage. I prefer to avoid cooking while I have people over so I decided to do a make-ahead meal. This way I can actually spend time with my family instead of being in the kitchen all night. I knew we would be having turkey a couple times over the holidays so I wanted to do something a little different. I decided on my slow-cooker Lamb Curry – it’s aromatic, spicy and hearty – perfect cold weather food. I’m going to serve it up with some whole-wheat naan and tzatziki; something cool to balance out the spice. 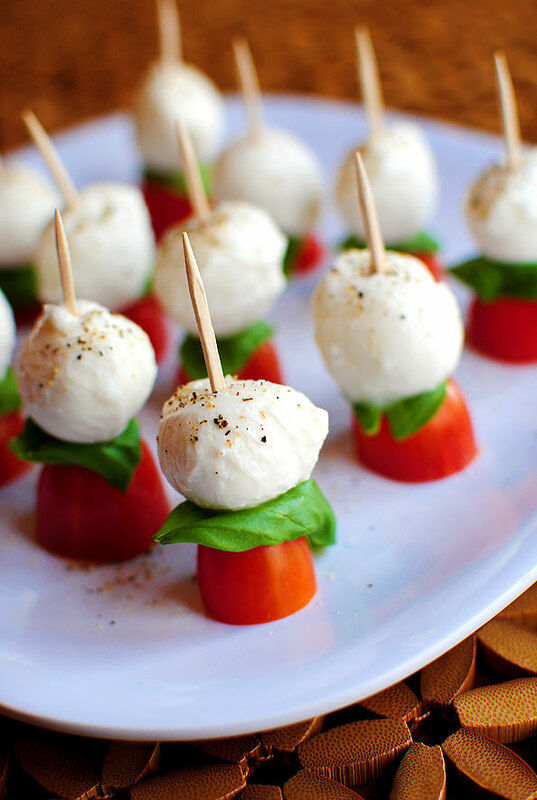 For an appetizer, I’m going to make mini caprese salad bites – little skewers of cherry tomatoes, basil and bocconcini cheese with a balsamic glaze. They look festive, and it’s a nice light starter with fresh flavours. And for dessert…I found an awesome recipe that I’m going to try from Oh She Glows: a Double Dark Chocolate Coconut Macaroon Tart. I love dessert, but I love it even more when it’s healthy dessert. This recipe uses dark organic chocolate bars, dates, unsweetened coconut and real maple syrup. The holidays aren’t complete without a festive cocktail. 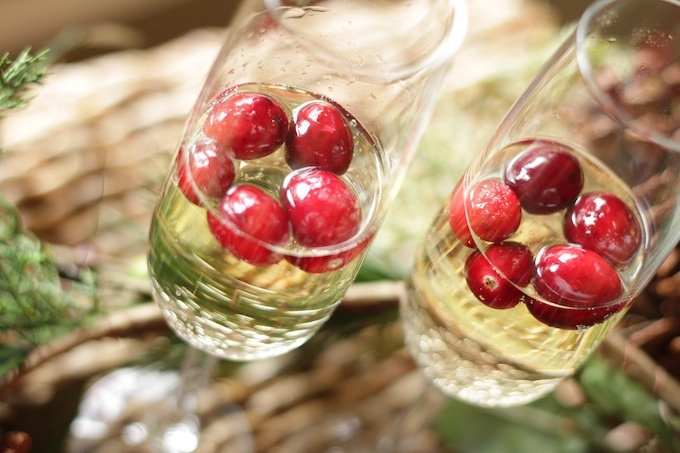 I’m going to keep it simple and serve up some bubbly with frozen cranberries – looks pretty, and champagne is only 80 calories per glass. I’m going to try Jackson Triggs Entourage Grande Reserve Brut – apparently it tastes like real champagne – lots of bubbles, but without the champagne price tag. Hopefully I’ve given you a couple ideas for your holiday meal. Merry Christmas, Happy Holidays and Happy New Year! Whaaat? I guess I know what I’ll be making healthy versions of in the new year 🙂 Stay tuned!